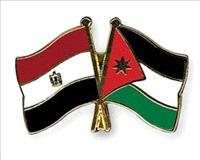 AMMONNEWS - The meeting of the Egyptian-Jordanian joint technical committee for land transport concluded on Tuesday. The Egyptian side was led by Chairman of the General Authority for Roads, Bridges and Land Transport Adel Turk, while Anmar Al Khasawneh, the secretary general of the Jordanian Ministry of Transport led the Jordanian side. Turk welcomed the Jordanian delegation, lauding the relations between both sides and their efforts for overcoming all obstacles facing the movement of passengers and cargo. The problems related to Egyptian and Jordanian carriers during entering the ports and moving on the roads of the two countries were solved, Turk noted.